Title: IS RUSSIA STOCKPILING TROOPS AND MASSIVE SUPPLIES IN HER SOUTHERN PROVINCES IN PREPARATION FOR HER PLANNED MOVE INTO THE MIDDLE EAST? Subtitle: Evidence continues to mount that suggests Russia may be using her "civil war" against Islamic extremists in Chechnya as a cover for a later military move into the Middle East. If we are as close as we think we are to the Third World War and appearance of Antichrist, this forward staging of troops, munitions, and supplies could be extremely important to the fulfillment of Ezekiel 38-39, Joel 3, and Obadiah 15-18. "GROZNY, Russia, Sept. 26. The Russian military warned today it may launch ground operations against Islamic militants in Chechnya while warplanes bombed the Chechen capital for a fourth day, pounding industrial and communications facilities. Four Russian jets flew repeatedly over the city's southern Oktyabrsky district this morning, firing rockets and dropping bombs, the Interfax news agency said. The district is the site of the television broadcasting center destroyed in earlier bombing as well as oil wells. Russian Defense Minister Igor Sergeyev said he could not rule out the possibility of launching ground operations in the breakaway southern region. Until now, the military has favored an air war that would keep Russian casualties to a minimum." "The main aim of all the plans is to eliminate the bandits" and "to create a considerably deep security zone around Chechnya," he said. The militants are separatists who want to form an independent Islamic nation in what is now southern Russia. The Russian military said the air raids are aimed at preventing militant incursions from Chechnya into Dagestan, where they fought Russian forces this month and last. Increasingly, however, Russian leaders have vowed to eradicate the militants altogether. Witnesses said that over the past four days, Russian air raids have destroyed more than 100 oil pumps, reservoirs and small refineries in and around Grozny that are believed to be controlled by Chechen rebel field commanders. The oil was the basis of a profitable business providing low-grade gasoline to other Russian regions. " "Col. Gen. Anatoly Kornukov, commander of the Russian air force, said in a television interview today that the air campaign against Chechnya could last another month. Russian military commanders appeared to be considering a major raid into Chechnya to put the militants on the defensive and stop their incursions into surrounding Russian territory. While Russia has massed armored forces on the Chechen borders, military analysts say the force is too small to mount a full-scale invasion of Chechnya ... Chechnya has run its own affairs since winning de facto independence in 1996. Moscow still claims it is a part of Russia and has struggled to keep violence from spreading outward." Our contention is that Russia may be using this "war" as a smoke screen behind which she could begin staging troops, munitions, and general supplies for her push into the Middle East. To understand how this might be possible, we need to look at a map of the region. Using the excellent maps of Encarta, let us see where this "war" is being fought. This "war" is being waged just north of the border with Georgia, where the map has "Caucasus Mountains" printed. If the Russian army were staged along this border, they would have only to move through the region of Georgia to be able to pour into the Middle East, into Iran. Since Iran is already allied with Russia, is eager to move against Israel, and is listed in Ezekiel 38 as one of the nations joining Russia, we can be assured that this scenario is plausible. Further, Georgia is ruled by Eduard Shevardadze, one of Gorbachev's officials during his administration [CIA Factbook, 1999, http://www.odci.gov/cia/publications/factbook/gg.html#people]. Shevardadze is thoroughly New World Order and can be counted on to keep Georgia firmly in control, so that, when the time comes for Russia to move troops and materiel through that little state, enroute to the Middle East, she will encounter no opposition. In fact, this scenario might account for the seemingly steep step downward Shevardadze took when he left Gorbachev's government to take control of the government of little Georgia. Now, let us look at the condition of Russia's military these days. After all, we have been led to believe that the Russian economy is near collapse and their army is deteriorating to the level of a third world country. However, a close look at the facts tell us that this view is simply not true. In fact, you are about to be shocked to realize that the Russian military is very, very sophisticated and capable. NEWS BRIEF: "The Russian art of war", World Net Daily, J.R. Nyquist, Thursday, September 30, 1999. "For years, we have heard that the Russian Army is a backward, ill-equipped, rag-tag force. But Col. General Anatoly Sitnov paints a different picture. At a Tuesday press conference, Sitnov revealed that the Russian military now has 'a rich new arsenal' to test. In this context, because of the civil war in Russia's south, Dagestan and Chechnya have become giant test ranges. Already the Russians have used the upgraded SU-25 attack aircraft against Chechen targets. 'If there is ground combat,' announced Sitnov, 'we will test the Shark [helicopter gunship] as well as other weapons. We will also use advanced gear, such as night vision goggles and new firearms, including the new sniper rifles with increased range ... and also [we have] tanks which provide better protection from the enemy in close combat.' "
Now, isn't this news to us? We have been repeatedly told, by the Liberal [Illuminist] Mass Media of this country, that the Russian economy is nearly ready to collapse, that their economy is less than many Third World countries, and that their military is in self-destruction mode. Now, we learn that their military is sporting brand new equipment, reportedly as advanced as our own? How can this be? Let us now read more about this Russian military that is as advanced as our own. "In the early days of the Yeltsin presidency, a curious announcement went largely unnoticed in the West: The Russian government admitted to an increase in armaments spending. While the Kremlin cut back its troop numbers to save money, and while it held back pay to hundreds of thousands of soldiers, it nonetheless decided to modernize its military equipment. Russian soldiers might live in desperate conditions for a few years, and the army might fall to a quarter of its Cold War strength, but in the next war they would have the most advanced weapons. One of the costs of maintaining a large army is the cost of paying the soldiers. The other great cost is that of purchasing new weapons. The solution to Russia's military backwardness was therefore simple: Neglect the soldiers while you upgrade the weapons. Once the weapons are upgraded, go back to paying the soldiers -- and fill up the armed forces with recruits." "Col. Stanislav Lunev, a defector from the Main Intelligence Directorate of the Russian General Staff, noted over a year ago that Russia had as many generals as it did at the height of the Cold War. 'It takes eight weeks to make a soldier,' said Lunev, 'but it takes two years to make a division commander.' In other words, Russia's military build-down was equivocal from the start. Russia created a mechanism for rapidly mobilizing millions of men in a short time and putting them into ready-made combat divisions. Today we see that a mobilization is taking place, masked at first by the Yugoslav crisis, then by the current civil war in Russia's south." Did you hear the words, "mobilization ", and "millions " in this above paragraph? This is exactly in line with our proposal in this article, that the Russians are mobilizing men and materiel along the border with Georgia, in preparation for moving south into the Middle East. This little-known fact that Russia had maintained the same number of generals as they had during the Cold War is a definite wake-up call for us, for us to understand that the Russians had a secret plan to build up their forces again. Let us return to our article. "The details of Russia's mobilization are fuzzy, the extent of the buildup has been blurred, but it is nonetheless taking place. Hundreds of thousands of additional men have been put under arms since March. Russia's Black Sea Fleet has been manned. The Kremlin's armed forces have engaged in many war exercises, and now there are unprecedented joint naval maneuvers planned with the Chinese Navy. It should be noted that China has been mobilizing troops and ships as well." Once again, we need to stop to take notice of what we have just learned. Both Russia and China are mobilizing troops and ships! Russia has mobilized "hundreds of thousands of additional men" since March, just 6 months ago! You do not mobilize such manpower when your country is so short of hard cash unless you are going to use such mobilized forces very soon! Further, Russian armed forces are carrying out many war exercises, undoubtedly practicing very specific war games. Finally, we should note that Russia and China have been carrying out joint exercises ! We have been repeatedly told that Russia and China are bitter enemies, but that apparently is not true, either. Bitter and irreconcilable enemies do not carry out joint exercises, because such exercises reveals much critical military information to both sides about the other's capabilities and weaknesses. No, only friends and allies carry out joint military exercises. Of course, Russian and Chinese cooperation is not incompatible with the New World Order Plan. During the planned 2 1/2 wars designed to produce Antichrist, a suddenly-revealed Russian and Chinese alliance against the United States would add much to the panic amongst all the peoples of the world, a panic deliberately designed to allow Antichrist to arise. Certainly, we have been told that our inability to protect our secrets against the Chinese has allowed them to produce a military that is very modern, and is armed with extremely modern unconventional weapons. As we demonstrate in a later article, Russia has been allowed to "steal" even more American technology in the last six years of the Clinton Administration. Perhaps we now know what young college student, Bill Clinton, was learning while he was in the Kremlin for three weeks in December, 1969, at the height of the Cold War and the very hot Vietnam War. Let us now return to this article to get even more shocking information. "But new conventional weapons and conventional mobilizations are nothing compared with Russia's new weapons of mass destruction . Earlier this month, the Russians launched a state-of-the-art ballistic missile. It lifted off from Russia's west Arctic cosmodrome and traveled 6,000 miles before slamming into a target range in Siberia. The missile scored a direct hit. Russia's new Topol M is the world's finest strategic rocket. It was designed to leave the earth's atmosphere, to glide through space and return to earth with deadly precision. It was even built to evade interception. But the most important fact about the Topol M has yet to be mentioned. The Topol M was built for one purpose -- to attack America ." Now we learn that Russia possesses a brand new "state-of-the-art ballistic missile"! I thought they had destroyed much of their weapons of mass destruction in the last decade, in full view of Western military experts that were on the ground in Russia to ensure that such destruction did, indeed, occur. Russian military experts were likewise on the ground in America ensuring that we destroyed comparable weapons, as well. Now, is the truth really that Russia destroyed obsolete weapons in order to get us to relax our guard? Then they produced a type of new missile that is here described as the "world's finest strategic rocket"? Finally, we are told that it can deliver its payload with "deadly precision". One of Russia's perennial problems was that they did not possess the technology to deliver their nuclear warheads with precision, thus leading to the huge warheads they placed on their rockets in the 1960's. Evidently, their theft of American technology has included a remedy for their lack of precision guidance. If our contention is correct, that Russia is planning to attack the United States in fulfillment of Daniel 7:7-8, 20 and Revelation 18, then we should not be surprised to learn that they have developed a specific strategy to carry out such attack with success. Listen to their strategy for nuclear war. 1. Surprise is always the most important element. What does the Bible say? It says that, when people are expecting "peace and safety", they shall suddenly be destroyed [1 Thessalonians 5:1-3] Once Antichrist arises, and has supposedly been given all authority and power in the world by the leaders of the 10 Super Nations [fulfilling Revelation 17:12-17], Russia will suddenly attack the United States so she can attack Israel [fulfilling Daniel 7:7-8, 20]. Remember one other matter: year in and year out, Russians have been the World Champion Chess Masters. They know more about strategy than we shall ever know. 2. Attacking first is a recognized necessity. Once again, this is consistent with our scenario. 3. "All war preparations must take place under the cover of various 'diversions'. The enemy must not be allowed to suspect that an attack is being planned ." The present "diversion" is now occurring in this war in Chechnya. Under the ruse of putting down Islamic militant forces, Russia is staging troops and materiel for a sudden push into the Middle East. When Russia moves into the Middle East, she will have her army in place to occupy the land after she destroys the United States with her nuclear forces. In this regard, I am very interested in the verse in Ezekiel 38:22, where God includes "hailstones" as one of the weapons He shall use to annihilate the Russian-led armies. I find it highly interesting to note that hail and snow are the two conditions that prevent ballistic missiles from being launched, because their guidance systems will malfunction under these conditions. Thus, God may be planning on taking out the Russian capability to fire their deadly nuclear weapons by sending hail upon the Russian rocket forces at just exactly the right time to foil their strategy. Please carefully read the following information in this article, as it has great significance for our current discussion. I find it highly interesting, and a whole lot disconcerting, to note that "troop mobilizations must take place before the first rockets are launched". We have just noticed that Russia has been involved in huge troop mobilizations since March of this year! Then, notice that Russia is currently carrying out nationwide "civil defense drills"! The only objective of such drills is to be able to absorb a nuclear strike from the United States without being annihilated. In the deep days of the Cold War, I repeatedly read that Russian civil defense preparations were infinitely better than ours. I read that the Russians had constructed huge underground cities that could survive for many months after a nuclear strike. These underground cities were also supposedly constructed with gigantic shock absorbing materials that could allow them to survive nuclear blasts. If these underground cities were actually created, they are available to Russian planners today. a. Arab members of OPEC announce a tight embargo to punish the United States and Europe for their support of Israel. Prices immediately skyrocket, and lines begin to form at all the gas stations, reminiscent of 1972-1973.
b. Stock markets in the entire Western world immediately go into huge declines, prompting ensues "experts" to warn of a complete financial collapse. c. Arab terrorists began to make threats against American cities, using nuclear, chemical, or biological weapons. Whether they actually take out any city is unclear, but they panic everyone by threatening to do so. 2. Korean War -- North Korea invades South Korea, using unconventional weapons of mass destruction. American forces are immediately thrown into the area to try to stem the tide. Our Navy, Air Force, and Army are committed to the Korean Peninsula in a huge way, virtually emptying this country of American citizen troops. China comes to the aid of North Korea, threatening to use her nuclear weapons against our cities. Further panic insues in this country. 3. China Attacks Taiwan -- Once our forces are totally committed to the Middle East and Korea, we will have no armed forces left with which to protect Taiwan. China's newly-built armed forces attack and take over Taiwan. Remember, at the Naval War College, I asked specifically whether the U.S. Navy could protect Taiwan if it were already committed to the Middle East conflict and a war in Korea. The answer was that, "no", our current force structure of 12 Battle Carrier Groups was insufficient to protect Taiwan under this scenario. d) The President -- or FEMA -- will invoke all the Executive Orders that have been prepared for this day and this hour, dissolving Congress, our entire court system, creating a dictatorship. Of course, we will be promised our freedoms back just as soon as the multiple crises are passed! Right!! e) Instigated riots will also erupt in our cities, and will probably grow to such proportions that local police units cannot cope with them. Since all American military forces have all been pulled out of the country because of the demands of the 2 1/2 wars, we will have no military force upon which to call to restore order. Thus, the seemingly prophetic words of Henry Kissinger will come true: "Americans today would be outraged if foreign troops were brought in to Los Angeles to restore order; tomorrow, they will approve such action." President Clinton will ask the United Nations for help in restoring order to our cities. Just as the 1952 Illuminati Map planned, America will be patrolled by various foreign troops [Read NEWS1270 for full details]. 5. Antichrist arises out of the smoke, dust, and destruction of this Third World War, claiming to be able to bring "Peace and Safety" to mankind. Revelation 6:1-2 has just been fulfilled. Confidence in him will be so high and so profound, that the stock markets of the Western World will bounce back to higher positive levels. Peoples of the world will begin to say, "Thank goodness we finally have Peace and Safety ". 6) Before Russia can attack Israel, she must destroy the United States. In a furious but short engagement, Russian forces have launched a surprise attack and annihilated us. Revelation 18 has been fulfilled, and the first of the three original 10 Super Nations has been destroyed just as Daniel 7:7-8, 20 foretold. Now, the entire world will learn what young college student, Bill Clinton, was learning at the feet of the Russian KGB in the Kremlin for those three weeks in December, 1969. 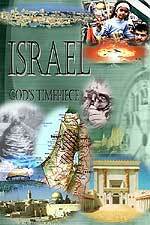 7) Russia attacks Israel in fulfillment of Ezekiel 38-39. Just as God foretold, the Russian-led forces are annihilated as they attempt to cross the border of Israel. Remember, this battle foretold in Ezekiel features a Russian-led army coming at Israel from the North, while the Ethiopians and Libyans are coming at Israel from the South. Thus, when God destroys Russia, the world will see this destruction as coming from the hand of Antichrist. Further, the Jewish Orthodox priests will see this destruction as the fulfillment of the Messianic prophecy that Messiah will deliver a Jerusalem surrounded by armies [Luke 21:20]. 8) At this point, the Jewish orthodox priests will declare Antichrist to be the official Messiah. They will allow him to "confirm the covenant" of Israel. As his signature goes to the bottom line of the covenant, the 7-year Tribulation Period will officially begin. 9) The Rapture of the Church will have occurred before Antichrist signs this covenant. World events are spinning toward a rapid conclusion that is precisely consistent with what God foretold and with the parallel Illuminati Plan. Certainly, we are at the End of the Age. Eternity is just ahead. Are you spiritually ready? Is your family? Are you adequately protecting your loved ones? This is the reason for this ministry, to enable you to first understand the peril facing you, and then help you develop strategies to warn and protect your loved ones. Once you have been thoroughly trained, you can also use your knowledge as a means to open the door of discussion with an unsaved person. I have been able to use it many times, and have seen people come to Jesus Christ as a result. These perilous times are also a time when we can reach many souls for Jesus Christ, making an eternal difference.